In today’s data-driven world, it has become relatively easier than ever before, to ask the managers about the appraisal rating if you are not satisfied. ACCEPT – ASK – OR- QUIT: 3 choices in front of us after we receive poor appraisal from our boss…! Well, “Quit” is a choice made by millennials more than the employees of any other generations. That is one of the final ways to show your unhappiness to your boss about the appraisal outcomes. In today’s data-driven world, it has become relatively easier than ever before, to ask the managers about the appraisal rating if you are not satisfied. As the key performance indicators are clearly spelt before the start of the appraisal year, any employee can easily match his/her performance with the expected performance. 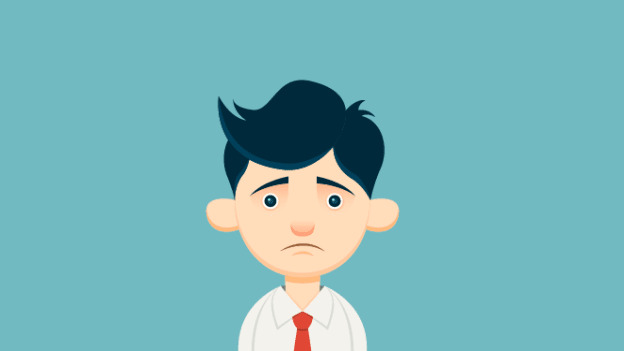 Here are the five things; employees can do if they are unhappy with their appraisals. Listen, before you speak - Once you know your appraisal ratings, and if you are unhappy, it is wise to listen from the manager on what basis you have been given a poor rating. Asking the manager on what went wrong? – Open and transparent communication is key to performance success. It is extremely important for employees to ask assertively to their boss on improvement areas. What additional skills you must acquire to succeed in the respective role? - This question is a good starter to talk to your boss about career growth and development in your role. In addition to listening to the boss on his views about your skill sets, you can also say you are interested in sponsored education or certificate programs, if any, to improve your skills and knowledge. In what ways you can better contribute to the team/organization? – While working in a team, it is important for any employee to send a message to the manager that he/she is concerned about team and organizational performance in addition to his/her own performance. Always go with an improvement plan – Now, it’s your turn to show your boss that you have devised an improvement plan to get back on track. It is the best place where you can consult your boss on your ideas for improvement. This also gives your boss an impression that you are concerned on your performance and how it is being appraised. All the above suits, if you think your boss is right and fair in your performance appraisal. On the other hand, if you feel your boss is unfair on your appraisal, you must prove it so by gathering data and evidence. For example, if your boss says that you are not collaborative in a team and lack team skills, and you don’t agree on the same, you can collect facts and data to support your side. Please keep in mind, that you must stay calm and assertive while counter casing the feedback and not be argumentative. Though you are unhappy about your appraisal results and of course, a bad review is really hard to digest, you have to keep in mind that the objective of the whole process, is to make you better in job. By following the improvement plans, you can ensure to get a better appraisal in the next review, and of course, the one which makes you happy and more productive. Dr. Shameem S is currently an Assistant Professor in the area of OB/HRM at Great Lakes Institute of Management, Chennai.